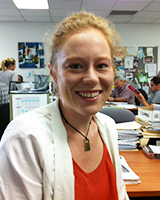 Hester is a teacher at Langports’ Gold Coast campus who has strong beliefs about education. She has set up her own website and blog to help her students. She has set up her own website and blog to help her students http://digilearner.com/. Her blog for this week is a list of 100 things you can do to improve your English. Have a read of the below list and we are sure you will find a lot of helpful tips to improve your English! Do a lesson at least once a day. Memorisation of lists is one of the most common ways of learning vocabulary for a test. It’s only a good exercise for short term studying because you often do not retain the information that you have learned for a test. Saying that, it’s better not to study just to take a test. Think of the bigger picture. What can you do when you have a good command of English? How will the quality of your life improve? Give yourself a long term goal. Focus on working towards it. Give yourself short term goals too and reward yourself when you achieve each one. Create an atmosphere in which you want to learn, not because you have to. You’ll learn more when you’re learning because you want to. Figure out how you learn. It can be by memorising, reading, speaking, summarising or other methods. Find out how you study best. It can be in a quiet place by yourself or with a group. Get help! If you don’t understand something you’ve got to ask someone. Ask your teacher, classmates or friends for help. Review! Review! Review! Make sure that you take the time to review things you have studied in the past. It’s not a good idea to study on your own for more than 30 minutes at a time. Take regular breaks, get some fresh air and stretch your legs. Read graded readers. These books are especially written for your level. Read a whole novel. You can do it! You’ll feel great afterwards. Newspapers are a good place to find passive constructs. Read through an article and see if you can find the passive sentences. For a word you don’t understand in a sentence, look at the other words around it. They will give you a hint. Try to guess the meaning from the context. When you learn a new word, think of all its other forms: Beautiful (adjective),beauty (noun), beautifully (adverb). Learn prefixes (dis-, un-, re-) and suffixes (-ly, -ment, -ful), these will help you to figure out the meaning of words and build your vocabulary. English, unlike Japanese or French, uses word stress. For new words, count the syllables and find where the stress is. Only one stress per word and always on a vowel. Two syllable verbs have a stress on the second syllable (beGIN). 2 syllable nouns (TEAcher) and adjectives (HAPpy) stress the first. Why not start an online blog and share your writings with the world? Have English radio on in your house. Even if you are not actively listening to it, you will still be training your ears. Dictation. Listen to a CD or friend and write down what you hear. Use post-it notes and stick them around your home. You can use them to label things. Stick one on your pet dog! You can’t ignore phrasal verbs (two words verbs), there are hundreds of them in English and they’re widely used. The more you focus on their meaning, the more you’ll be able to guess the meaning of new ones. You’ll start to recognise their patterns. Debate. Discuss topics in a group. Each person should choose a viewpoint (even if you don’t agree with it) and debate it within the group. Make sure you get your point across. Learn to listen actively. Active listening will help in the classroom and it will help you get more out of, and contribute more to, group study sessions. Focus on the person who is talking. Don’t fidget or become distracted by other people or events. Concentrate on the speaker with your ears and eyes. Follow the movements the speaker makes in an effort to hear more. It may help to repeat what you hear others say in an effort to understand their thoughts. Get used to the ‘schwa’ sound [É™] — an unstressed and toneless neutral vowel sound. ‘Schwa’ is the most common vowel sound in English. For example, the ‘a‘ inabout and the ‘u‘ in supply. Idioms can be difficult to memorise, but they are great fun to use and they’ll make your English more colourful. When talking we usually link words together so that two words can sound like one. Simply put, we link words ending with a consonant sound to words beginning with a vowel sound (consonant > vowel). We link words ending with a vowel sound to words beginning with a vowel sound (vowel > vowel). Practice these to improve your listening and pronunciation. Use the correct article (a/an, the). Be aware that there is more to this rule than a/an= non specific, the=specific. For example: A university (not an university because it begins with a consonant sound). An hour (not a hour because the ‘h’ is often silent). The easiest one — Sleep! You’ll learn more after a good night’s sleep. You’ll be able to concentrate more. 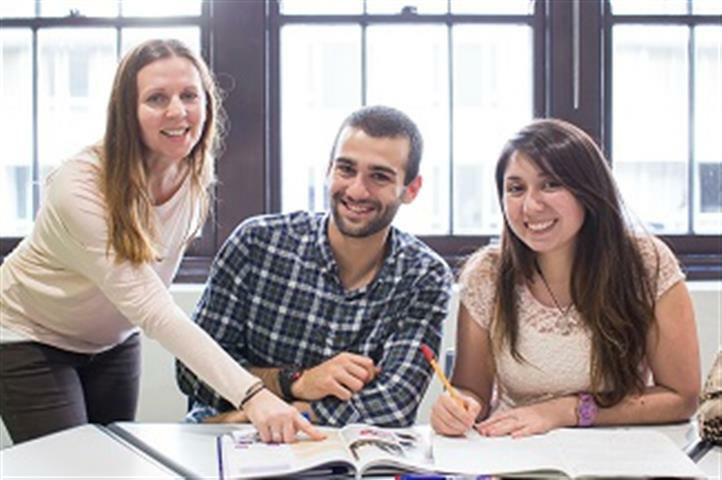 Have you thought about getting a job or doing an internship abroad? Get yourself a qualified teacher. Who wants to learn wrong things? Nobody can learn all of the English language. No need to worry about trying. A useful shortcut to learning is that in English we have lots of words that have the same pronunciation, but a different spelling and meaning. For example, ‘come here’ has the same pronunciation as, ‘I can hear the birds’. You might find it easier to build vocabulary by knowing the different meanings. Once you have a basic level of English explore the different ways you can say the same thing. This makes your English more interesting to the listener and it shouldn’t be too difficult for you because you already know the basics. For example, how many ways can we say, ‘Goodbye‘ in English? When you are on your English course, be prepared for your class. Do your homework as soon as possible and hand it in on time. Review your notes and your last lesson a few minutes before the class. Doing this will refresh your memory and you’ll be warmed up for lesson. Don’t get distracted in class. Focus on the lesson, don’t stare out of the window. Don’t be late, arrive a few minutes before the start of the lesson. Don’t sit next to people who won’t speak to you in English. Switch off your phone. Be organised, remember to take your textbook, notebook and pen. 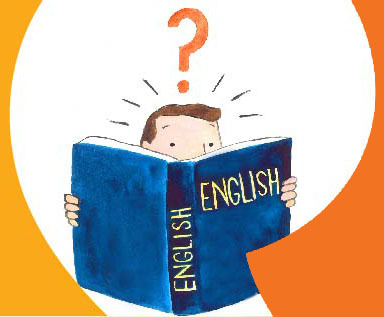 Do you want to improve your English some more?